Why should you use sliding doors? The world of housing design has evolved, betting increasingly on minimalist solutions that make the most of the space of our home. 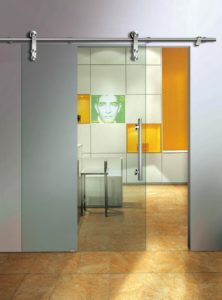 Precisely one of the most used options for this current is the use of sliding doors. It is a practical solution that guarantees the use of space. Its greatest uses are in offices, kitchens and bathrooms. In addition, the evolution has brought with it the possibility of opting for two types of placement of these sliding doors: you can place them inside or outside the partition. HEGOX’s commitment to slides is important, and is reflected in its large catalog and variety. The brand knows the growing trend of this type of doors and seeks to meet the different needs that may arise. To learn more about sliding or other supplies for glass, do not hesitate to visit our website by click here or directly go to our catalog.